The third day of racing produced some excellent swims today as the TEMPLEOGUE athletes continued to impress with their multiple PB’s at the Irish Age Group & Summer OPEN Championships. produce PB’s in both the morning and evening swims as she dominated her age group with a swim of 2:28.6 in the final this evening and touching home in the GOLD medal position and in a time that will elevate her ranking in the British Age Groups in two weeks time. 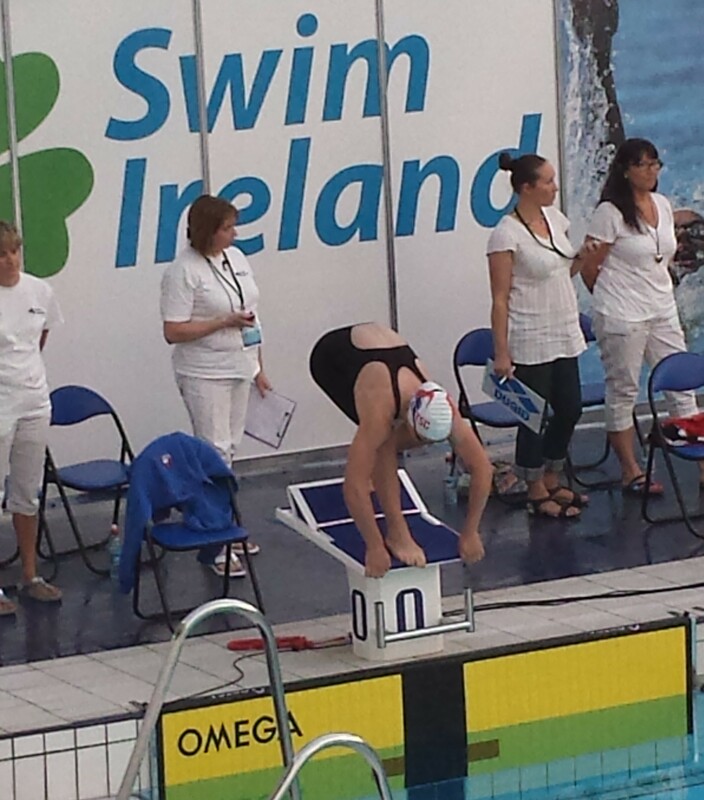 Jessica Burke (14) had also produced some strong PB’s in her swims today as she swam to a strong PB in the heats of the 200BF, while also qualifying for the final in her age group and further improving on her earlier PB she finished in 8th place. Her 100BS result was a strong effort as Jessica continued her busy 11 event schedule of racing this weekend with a strong further PB in the difficult 400IM event where she finished in 6th place in her age group in the event. Evan Rossiter (13) was pleased with his efforts today as he qualified for the final of the 200BS, in a PB effort while finishing the overall event in 9th place while Niamh Murphy (20) (pictured above) was delighted with her effort in the 100BS, which was a PB for her as she finished the OPEN event in 8th place. 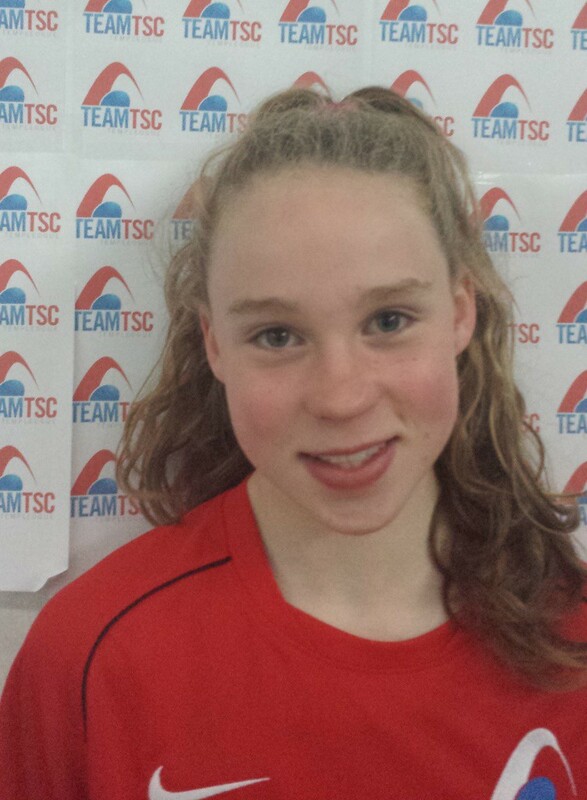 The day was a busy one for the TEAM as Caoilfhinn Tan (14) was the first athlete on the blocks in the morning as she notched up a PB in the sprint 50BC event, giving her great confidence for her additional Backstroke events this weekend. The next event was the 200BF which Jessica & Ellen posted new PB’s and both qualified for the final. In the Boys 100BF Evan Rossiter (13) posted a strong heat PB to finish in 19th place while Finn O’Keeffe (12) tee’d up the first of his great swims today to take almost 5 seconds of his previous best to finish in 12th place in the 13&U boys age group. Caoilfhinn Tan (14) and Jessica Burke (14) were back on the block for the 100BS with both girls delivering strong swims in their heats. Rossiter (13) was back on the block with his PB in the 200BS which qualifed him for the final and an ultimate 9th place, while Joe Kenny (12), after an impressive set of races yesterday, powered his way to a 12+ second improvement in his event. The 400IM allowed Jessica Burke (14) post another strong PB as she finished her age group in 6th place. The biggest event of the day saw Finn O’Keeffe (13) demolish his PB in the 200FC to take almost 8 seconds off his PB and finishing in 12th place in his age group, while Evan Rossiter (13) also posted a PB as he too finished the age group in 18th place. In the older boys Tom Giblin (15), Eoin Feighan (15) and Stephen Herlihy (15) delivered solid heat swims in a tough age group. 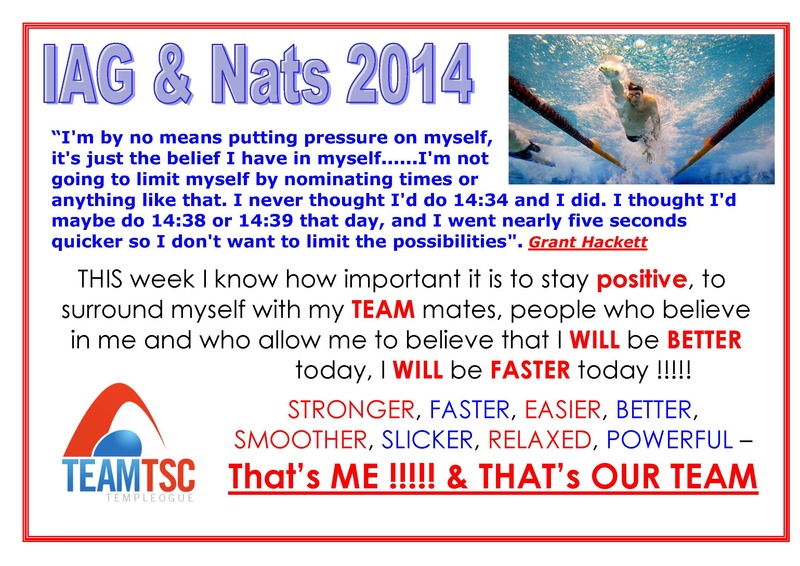 The Day 2 Theme for the day needed a little reading but set a good message for the team first thing in the morning. The event continues over the next few days and the athletes continue with their packed schedules of racing tomorrow.